In this workshop we addressed the protection of individuals in the EU General Data Protection Regulation with regard to threats posed by big data applications. Using smart cars as an example, the workshop focused on the individuals’ rights under the new Regulation. After an introduction to these topics, participants were invited to discuss these issues in groups and draw general conclusions on the effectiveness of the rights for individuals under the General Data Protection Regulation. 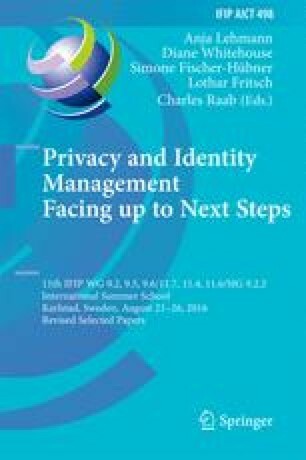 This work is partially founded by the German Ministry of Education and Research within the project ‘Forum Privacy and Self-determined Life in the Digital World’.